The Clubhouse is our casual dining room which can accommodate up to 1000 guests. The Clubhouse is located on the 2nd level of the main building. It offers tiered seating in four-top and two-top tables with individual TV monitors at each table and a beautiful view of the track. The Clubhouse is open seven days a week. 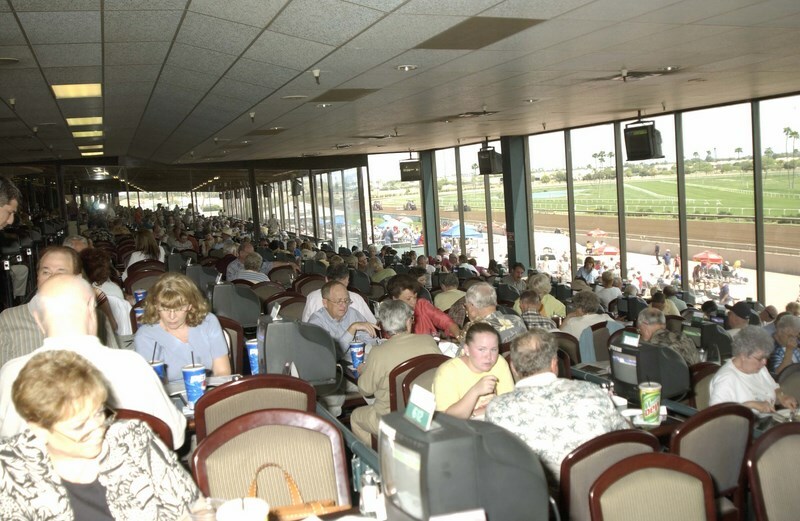 Reservations are recommended on live race days and can be made by calling 602-375-6470. Casual attire suggested.